A Liberal's Libretto: "Gold is a fine thing..."
"Gold is a fine thing..."
NEW YORK (AP)— The estate of soprano Beverly Sills is being auctioned in New York City. Items being offered Wednesday include art, photos, furniture and opera memorabilia. The diva — known for her dazzling voice and bubbly personality — died in July 2007. Sills spent 10 years as general director of the New York City Opera. 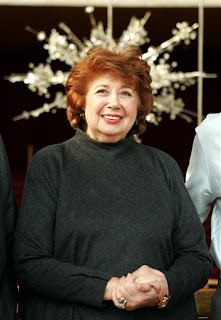 She later served as chairwoman of both Lincoln Center for the Performing Arts and the Metropolitan Opera. She was a leading figure on the American cultural scene — raising millions of dollars with just a few phone calls. Her recognition also went beyond the opera world. Television appearances included "The Tonight Show," "The Muppet Show," and "Sills and Burnett at the Met," with comedian Carol Burnett.